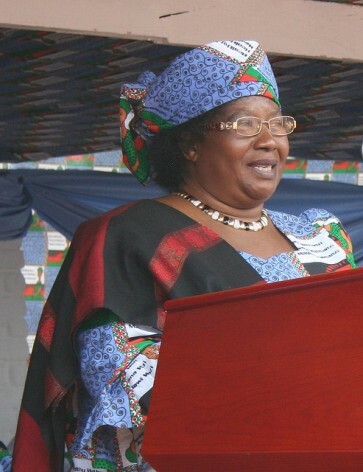 LILONGWE, May 29 2014 (IPS) - When Malawi’s President Joyce Banda said that last week’s elections were fraudulent and riddled with rampant irregularities, social media went viral calling her a loser. “She is a cry baby,” said one Malawian on Facebook who identified himself as Wellington Phiri. “She should just concede defeat,” said another. Banda had nullified the elections and ordered that voting be repeated within 90 days, triggering public anger and resentment. But a legal challenge from the Malawi Electoral Commission (MEC) prevented the nullification of the results as she had no lawful basis to annul the election. But now it appears that Banda has rallied support for a recount even from her worst critics, which include the Malawi Congress Party (MCP) and various other opposition. “MCP cannot accept these results because they are fraudulent,” MCP vice president Richard Msowoya told IPS. 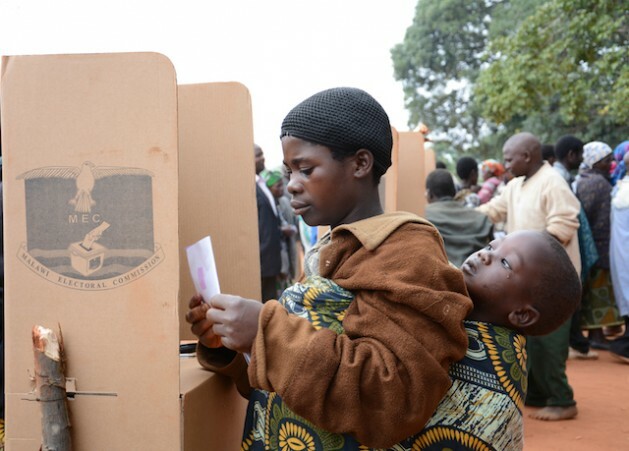 Malawi went to the polls on May 20 in its first tripartite elections. Banda contested the presidential seat against 11 other candidates. The MCP’s head, retired evangelical pastor Lazarus Chakwera, was one of Banda’s main challengers for the presidential seat. “We cannot allow people to steal our vote just like that and we have evidence and agree with President Banda that the election has been rigged,” Msowoya added. The High Court in Blantyre is expected to make a ruling on Friday, May 30, to either order the MEC to declare the winner based on the current votes or initiate a recount as demanded by Banda and some opposition parties. In a quick interview with IPS, Banda said that she was ready to leave office if the court ruled that the MEC should rather announce the winner of the election and not initiate a recount. “I am ready to leave, whichever way this goes. But I am happy that the people of Malawi know that I wasn’t lying when I called this election fraudulent,” she told IPS. On Sunday, May 25, the MEC admitted it had received overwhelming complaints about the election and could not proceed with announcing the winner. Last week’s poll had been plagued by problems from the outset, with voting materials turning up hours late and ballot papers being sent to the wrong parts of the country. Organisers had to extend voting in some urban areas for a second day and initial counting was delayed by power outages and a lack of generators at polling stations. Voters went on the rampage in the capital Lilongwe and in the commercial city of Blantyre burning tyres and shops before the military moved in and intervened. To date the MEC has only released 30 percent of the official vote count, which showed that the opposition Democratic Progressive Party (DPP), lead by Peter Mutharika, brother of the late President Bingu wa Mutharika, was in the lead with 42 percent of the vote. Banda followed with 23 percent. But Msowoya pointed out that across the country there were cases of having more votes than voters. He said that in the constituency of Machinga, in southern Malawi, 184,223 people voted — this was 33,778 more than the total number of people on the voters’ roll for the area. “In another constituency jn Dowa West were 70,845 people registered the final tally sheet shows only 1,164 voted which is very strange,” Msowoya said. Banda’s ruling People’s Party (PP) also stated that several polling centres across the country recorded more people voting than the number of registered voters for those areas. United Democratic Front presidential candidate Atupele Muluzi told IPS that his party had also received complaints from several centres. “In one instance, a presiding officer for a polling centre ended up signing for the results of two other centres, which is illegal,” Muluzi said. The push for a recount of the vote has also now gained traction with several leading civil society groups. The Malawi Council of Churches, an influential grouping of protestant churches, joined the chorus to push the elections body for a recount. The Centre for Human Rights and Rehabilitation, a leading rights NGO here, and the Association of Media Owners have also called for a recount. “President Banda has been vindicated because she took a bold and brave move to challenge the MEC and ask for investigations into the electoral process. No one wanted to listen but now its clear that she was right,” Shyley Kondowe, one of Banda’s most trusted aides, told IPS. However, if the MEC institutes a recount of the vote, it faces a legal challenge from the DPP. “There is an invisible hand controlling everything because we are surprised that three political parties have formed a post-electoral alliance to fight our presidential candidate because he is in the lead,” the DPP’s lawyer Kalekeni Kaphale told IPS. He said that the MEC and the courts had no power to extend the eight-day period outlined in the constitution for the electoral body to announce the results. The constitution, he said, can only be amended by parliament. Whatever the outcome, Onandi Banda, a political commentator and human rights activist, believes that this is a major test for Malawi’s democracy. “The president was after all right that the election was rigged. But how we move forward from here is what will make or break Malawi,” he told IPS.